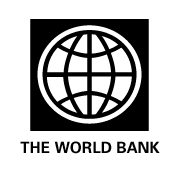 The World Bank is a vital source of financial and technical assistance to developing countries around the world. We support developing countries through policy advice, research and analysis, and technical assistance. Our analytical work often underpins World Bank financing and helps inform developing countries’ own investments. The World Bank Institute (WBI) is a global connector of knowledge, learning and innovation. WBI codifies global knowledge into evidenced based learning programs, including e-learning and MOOCs, South-South (or North) knowledge exchange, and some combination of these with the more traditional face-to-face (F2F) methodologies. Digital Dividends: Strengthening the Analog Foundation of the Digital Revolution via edX 4-6 hours a week , 6 weeks long 4-6 hours a week , 6 weeks long Self paced No reviews yet. Climat – de la science à l’action via edX 3-5 hours a week , 4 weeks long 3-5 hours a week , 4 weeks long Self paced No reviews yet. 8th Jun, 2015 No reviews yet.